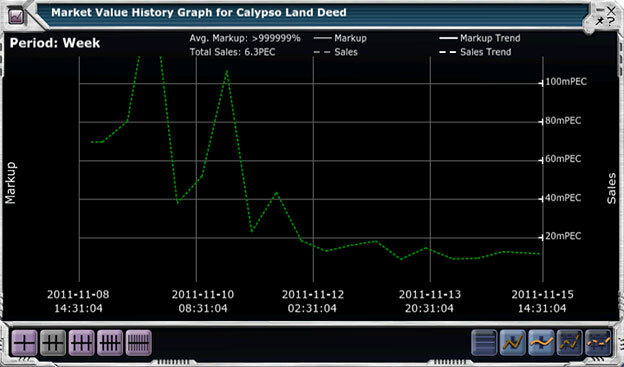 If you understand the market inside Entropia Universe, you can trade and earn a lot of cash. This guide will give you insight into trading within Entropia Universe. Lets get down to business! Trading can come in many forms, weather you’re a merchant buying stackables, skills and gear in populous areas, utilizing the auction house, or assisting others in equipment sales. This is an integral part of any economy and is a needed service that helps individuals sell their wares conveniently so they can get back to what they enjoy doing in the Entropia Universe. Reputation plays a large part in Entropia in any business setting, purchasing materials or equipment for a fair price that allows you to make a reasonable profit will help you to build your reputation as an ethical merchant with fair prices. Making a large sum at the expense of one person’s ped card and your reputation is not the ideal way to build your sustainable business as a trader. Turning large volumes at reasonable %’s will make people feel good about working with you and hopefully allow you to build a steady base of regular customers that appreciate the service you provide. There are many merchants that purchase ores, enmatters and common hunting loots at a small % under market value. To identify where you may succeed in this you must first have an understanding of the market. Utilize the market data that is accessible on any given stackable to identify the volume that is sold through the auction system on a regular basis. Understand the expense of listing stackables you’ve purchase for sale on the auction house. The key factors in this are the Mark up and Sales columns in the Market value box, markup will allow you to see what the materials sell for on average through the auction system, Sales will allow you to identify how much volume is sold on auction in a given period of time. Look at the graphs to identify highs and lows of the market and trends so you can gain a better understanding of market fluctuations. There is a wide variety of armors, medical and mining tools, and weapons in EU as you may very well know. Some are very similar to others, understanding the sales history on not only the specific gear you’re trading but the history on the gear that is quite similar is a necessity to be able to offer a fair price for purchase while not putting yourself at too much risk of market fluctuation due to other items that are similar selling for significantly less. Study the gear available in EU to understand what value it holds not only in direct market history, but in what can be accomplished with this gear. Purchasing something that has a limited market history can be risky, however by identifying similar gear and compiling the market data on all of these you can help to fairly assess value for those you are purchasing from while limiting the risk of loss as you retail the item.